For instance, as your Fort Lauderdale injury attorney sets about answering the question of “who is at fault?” we may discover there is more than one defendant with some responsibility. That could complicate the claims resolution process. In some cases, it could be the our client (plaintiff) bears some degree of fault. In most cases, comparative fault (as outlined in F.S. 768.81, defined as the degree to which someone is responsible for their own injuries) will not bar a plaintiff from prevailing in a claim against a defendant. It can, however, make the claim more difficult because it may reduce the amount of damages to which you are entitled. Many Florida injury lawsuits are resolved even before they become lawsuits. Claims filed with the tortfeasor’s insurer may be paid after some back-and-forth negotiation with claimant’s attorney. Although this process does not require the help of an injury attorney, it is advisable any time there is more than minor property damage at issue. Injuries that involve broken bones, scarring or time off work might be worth more than you’d imagine at first blush because of the potential for long-term impact and medical costs. Working with an experienced Fort Lauderdale injury lawyer helps ensure your best interests aren’t overlooked. Whether the court has an overcrowded docket/busy schedule. In some cases, defendants and plaintiffs may agree on several issues – up to and including who is at fault – yet still disagree on what is a fair payment for damages. Trial may be held on just this point alone. Compared to cases wherein several points are in contention, these personal injury lawsuits will likely be resolved more quickly. 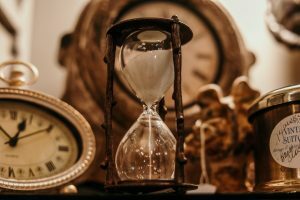 Although no injury attorney can give you a certain answer on how long your case will take to resolve or what the outcome will be, generally speaking a claim can take anywhere from a few months to several years to resolve. There are many variables involved. Your experienced injury attorney in Fort Lauderdale should be able to give you a reasonable time estimate – noting possible contingencies that could shorten or lengthen resolution – early on in your case. Often the faster you get in touch with an injury lawyer, the faster your claim can be resolved.